The Bad Blood G10 Striped Lock Knife is the first introduction into Bad Bloods budget line. 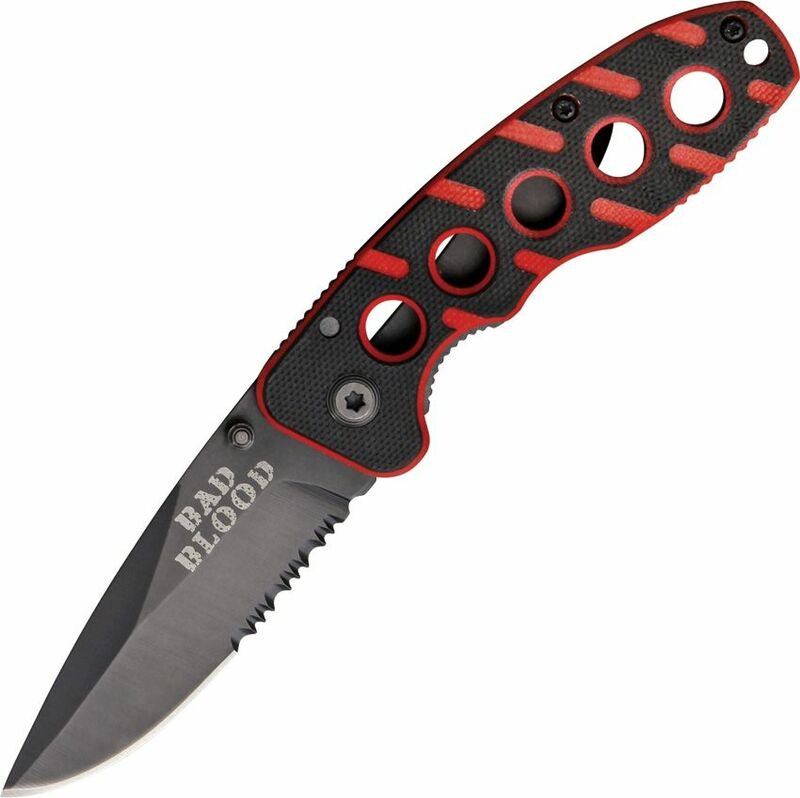 It has a 2.5" black finish partially serrated blade with a black and red striped G10 handles. Back handle is smooth aluminum and comes complete with stainless pocket clip.